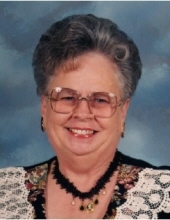 Mrs. Alberta “Bertie” Parker Williams, age 77, of Carter City, Kentucky, passed away Monday morning, February 11, 2019, at Carter Nursing & Rehabilitation Center in Grayson, Kentucky. She was born June 19, 1941, in Carter County, Kentucky, a daughter of the Albert Parker and Goldie Kiser Parker Cooper. Bertie was a member of Carter Christian Church and worked as a postmaster for the U.S. Postal Service. In addition to her parents, she was preceded in death by four brothers, Andy Parker, Lawrence Parker, Eugene Parker, and Elisha Parker, and four sisters, Elsie Koza, Chattie Rice, Helen Conley, and Nevada Williams. Bertie is survived by her husband of 58 years, Carl Williams; one son, Jeffery Williams of Olive Hill, Kentucky; two daughters, Carla Caudill (Dale) of Olive Hill, Kentucky, and Patsy Slone (Richard) of Grayson, Kentucky; four grandchildren, Adrienne Slone Lubert (Kyle) of Alberta, Canada, Adam Slone of Grayson, Kentucky, Thomas Caudill (Bobbie) of Olive Hill, Kentucky, and Scott Caudill (Missy) of Olive Hill, Kentucky; one great granddaughter, Mahaila Lubert of Alberta, Canada; one brother, Deward Parker of Lucasville, Ohio; and one sister, Jewell Kewer of Cleveland, Ohio. She also leaves many other family members and friends who will sadly miss her. Funeral services will be held at 2 p.m. Thursday, February 14, 2019, at Globe Funeral Chapel in Olive Hill, Kentucky, with Brother Terrell Webb. Burial will follow in the Nolty Cemetery in Carter City, Kentucky. Friends may visit from 6 p.m. to 9 p.m. Wednesday, February 13, 2019, and after 9 a.m. on Thursday at Globe Funeral Chapel, 17277 West Highway US 60, Olive Hill, Kentucky 41164. Lowell Messer, David Carper, Rick McGlone, Leo Roe, Scott Caudill, and Richard Slone will serve as pallbearers. "Email Address" would like to share the life celebration of Alberta "Bertie" Parker Williams. Click on the "link" to go to share a favorite memory or leave a condolence message for the family.